Aspergillus fumigatus is a species of fungus that causes a wide range of diseases in human beings. It is a spore-forming mold that readily grows in nature and infects a wide range of animal and plant species. There are hundreds of different species of Aspergillus, but according to the Center for Disease Control (CDC), only 40 of them can affect human beings. Among them, Aspergillus fumigatus is the most common and most virulent species. 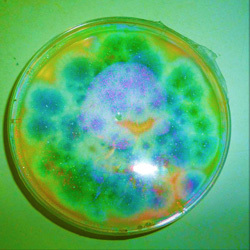 Aspergillus fumigatus is a saprotrophic fungus with cosmopolitan distribution. In nature it can typically be found in soil and decomposing organic material, such as compost heaps. It plays an essential role in carbon and nitrogen recycling , and without it many natural cycles would be non-existent. 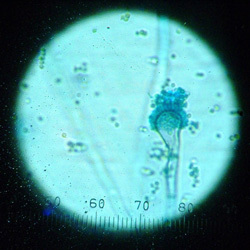 Aspergillus fumigatus mold colonies are blue-green to grey in colour, with a wooly or cotton-like texture. Capable of withstanding high temperatures, it grows rapidly at 37°C. Its spores are ubiquitous in the air around us and everyone will typically inhale hundreds of spores every day . However, these spores are in most cases quickly dealt with by the immune system. Both allergenic and a major human pathogen, Aspergillus fumigatus produces a number of mycotoxins, such as fumitremorgens, verruculogen and gliotoxin . It is the most common cause of aspergillosis in both humans and animals. Areas where Aspergillus fumigatus mold thrive? 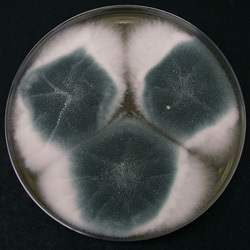 Aspergillus fumigatus mold grows well in both indoor and outdoor spaces, as it is able to grow in a wide variety of conditions. Generally, it thrives in warm temperatures, with optimal growth at 40-42°C. 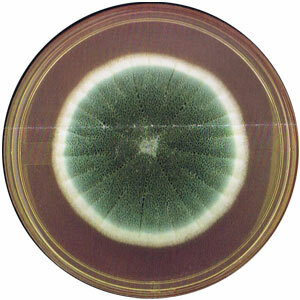 However, it can develop in temperatures ranging from 12-55°C , and its spores can even survive at 70°C . 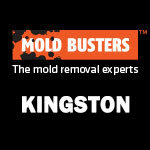 The mold also requires a good level of humidity. Therefore, it thrives in soil, decomposing matter such as dried leaves and clippings, droppings of birds and other animals, and on some plants. It commonly invades seeds, especially cereal grains and often spoils stored commodities. It can also grow on cured and processed meats, especially in the tropics . Indoors, it grows on household dust, ventilation ducts and potted plants. It can also develop on floors and walls, especially in bathrooms, kitchens and other warm and moist environments. What food is Aspergillus fumigatus mold found in? Ideally, well stored and thoroughly cooked food should not contain any elements of the mold. However, improper storage (specifically when products are stored in a humid environment) can lead to Aspergillus fumigatus mold developing. It often occurs on starchy foods such as bread, rice, and cereals. This is because these products excel at absorbing moisture from the air and provide an ideal setting for Aspergillus fumigatus to grow. Ingestion of such contaminated commodities exposes consumers to the risk of getting infected with Aspergillus but this rarely leads to significant illness. What are the diseases caused by Aspergillus fumigatus? 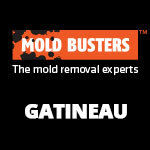 Aspergillus fumigatus mold causes a wide range of diseases in human beings. These different conditions are collectively referred to as aspergillosis. Pulmonary aspergillosis: This is a fungal infection of the lungs. It can be a short-term illness or a chronic illness. Aspergilloma or “fungal ball”: Another type of lung infection that leads to the formation of a ball of fungus in the lungs. Invasive aspergillosis: this is a very serious condition in which the fungal infection gets into the bloodstream, and is dispersed to various tissues and organs, leading to loss of function. Is Aspergillosis an opportunistic infection? A common aspect of all the various diseases caused by Aspergillus fumigatus is that they do not easily occur in a normal, healthy individual. The fungi mostly affect people with underlying conditions that compromise their immune defenses. It is therefore a disease that mostly affects individuals that have undergone organ transplants, leukemia patients, or those with HIV/AIDS. Additionally, people with underlying lung diseases such as asthma, cystic fibrosis, or tuberculosis are also susceptible to aspergillosis. Pulmonary aspergillosis begins by inhalation of Aspergillus spores. Their small size (2-3μm) allows them to reach all compartments of the lungs, including the alveoli. Spores are lodged in lung tissue and initiate infection. For most people, the infection is often cleared by innate immune responses. However, in immunocompromised individuals, the immune system fails to deal with the threat. The spores emerge from dormancy and the fungal infection starts spreading in the warm, moist and nutrient rich environment. The condition rapidly progresses to chronic pulmonary aspergillosis, which is a long-term illness. According to the CDC, over 6 million people live with some form of aspergillosis , and the figure is thought to be much higher as there are many undiagnosed or misdiagnosed cases. What are the symptoms of mold in your lungs? The most common symptom of pulmonary aspergillosis is coughing. This is non-specific and mimics several other lung diseases. However, the cough is often bloody. Infected individuals may also experience chest pains and difficulty in breathing. Infected subjects may also develop a fever. In most cases, these symptoms often arise in addition to an already existing lung disease such as tuberculosis, cystic fibrosis or asthma, thus making it difficult to diagnose. When the disease progresses to a chronic state, individuals may start losing weight and experiencing general body malaise. What are allergies caused by Aspergillus fumigatus? Similar to many other mold spores, Aspergillus fumigatus spores are strong allergens. Fungal spores are known to play a role in the onset and progression of allergies . Fungal allergies can be classified into two main groups: those affecting the upper airways, i.e. allergic sinusitis (which often cause flu-like symptoms), and those affecting the lower respiratory tract (which cause serious symptoms). Allergic sinusitis usually causes a runny nose, reduced sense of smell, and possibly a headache. It is more of an irritation, and not a significant medical condition. On the other hand, allergic bronchopulmonary aspergillosis is a serious form of allergy. This allergy commonly occurs in asthmatics and it is estimated that 2.5% of asthmatics have this kind of allergy. This translates to 4.8 million people worldwide . It is manifested with serious symptoms: a cough with brown-coloured sputum, wheezing, shortness of breath, chest pain and fever. What are ivasive Aspergillosis symptoms? This is the most serious form of aspergillosis. Luckily, it is very rare. The CDC reports only 1 or 2 cases per 100,000 people annually. It is exclusively a disease of the immunocompromised, and never affects healthy individuals. It occurs when the fungal infection is not treated. Eventually, the infection gets into the bloodstream and is disseminated throughout the body, infecting major organs such as the heart and kidneys. It presents as fever and chills, with symptoms of shock. In the lungs, it causes chest pains, bloody coughs, and internal bleeding. It may also cause kidney and liver failure. At this level, the infection is life-threatening. How to treat Aspergillus fumigatus? Luckily, most forms of aspergillosis are easy to treat. The mold is sensitive to most antifungal agents, and infected individuals usually respond well to therapy. Itraconazole is usually the mainstay of antifungal therapy. Amphotericin B is used in cases of serious infection or resistance to other medications. In most cases, these drugs eliminate the infection completely. How do you get rid of Aspergillus fumigatus? 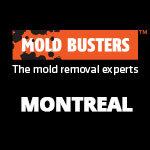 Preventing the mold from developing in your home is preferred to having to visit the doctor due to aspergillosis. For Aspergillus fumigatus, this involves decontamination of every possible surface or area where it grows. This is actually very important for households with members suffering from asthma, tuberculosis, cystic fibrosis, and immunocompromising diseases. 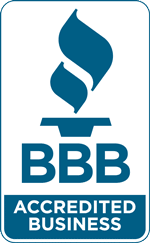 The safest way to secure your home from Aspergillus fumigatus mold is to contact a certified mold removal company who will inspect your home for mold and deal with any growths if they are present. In summary, Aspergillus fumigatus is a common mold that readily grows in our vicinity. It is a virulent and pathogenic organism and has the potential for causing illnesses such as pulmonary aspergillosis, skin and nail infections, allergies, and invasive aspergillosis. Despite being common, the fungi often cause health problems in individuals with underlying lung diseases or those with deficient immune systems. Health issues caused by Aspergillus fumigatus are treatable, but a much better option is to prevent them before they ever happen. 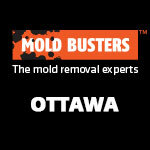 Call Mold Busters today to book an appointment. Latgé JP (1999). Aspergillus fumigatus and aspergillosis. 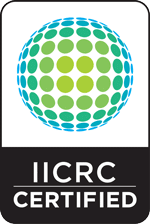 Clin Microbiol Rev. 12(2):310-50. CDC (2019). Retrieved from website. Denning DW, Pashley C, Hartl D, Wardlaw A, godet C, Del Giaco S, Delhaes L, Sergejeva S (2014). Fungal allergy in asthma-state of the art and research needs. Clin Transl Allergy. 4:14.